bathroom remodel Edmonton Archives - CWC Developments Ltd. Performing home improvement doesn’t need to be a daunting task. Improving your home can be fun and easy, and make your home environment much more enjoyable. Make-over the areas you like and make them into areas you love. Follow the tips below and you will be able to turn your home into your dream home. If you love the idea of a home office but just can’t spare an entire room, get creative! A large walk-in closet or pantry is the perfect candidate for a mini-office. Most pantries have built-in shelves, which are perfect for a laptop computer, books, a printer, and office supplies. An extremely simple way to improve your home is to change out your air filters. Not only do allergens and dust creep into your air ducts when the filter is too clogged, but the efficiency of your system can be brought down by neglecting to change the filters. This is very important to do often if you have pets in the house. Paint your doors. If you have old, outdated hollow core doors in your home, those can easily be painted to make them brighter and looking newer. Simply take them off the hinges, throw them over a couple of saw horses outside, and give them a quick coat of primer first and then your choice of paint color. If you have a deck, you should clean it deeply once a year and then after wards put sealer on it. Look at all of your options and decide what qualities you need in a outdoor deck sealant. You may need to personalize your purchase for the area you live in and the climate. If you are trying to decide what home improvement projects to take on to prepare your home for resale, then remember the old real estate adage, “Kitchens and bathrooms sell homes.” If you only have funds to improve a couple of rooms, then start with your kitchens and bathrooms to see the biggest improvement in your asking price. Improving your home yourself in anyway can be a fun, rewarding experience, but this can also be a disaster. Before starting any projects, make sure you research what you’re doing first. Getting halfway through any home improvement project only to find you’re doing something wrong is a nightmare waiting to happen. Here is a great home improvement idea! Ensure that your whole system (furnace, heat pump, air conditioner) is energy efficient. Leaky ducts can decrease the overall energy efficiency of your heating and cooling system by as much as twenty percent. Duct sealing increases efficiency and lowers your utility bills. Devote some time into weather-stripping your home. Even though your house might be insulated, there are probably small crevices around windows and doors through which air will leak. That means your house will lose cool air during the summer and warm air during the winter, leading to a higher energy bill when you run heating and cooling appliances. Weather-stripping your doors and windows will keep that from happening. As you can see, home improvement can be very easy. With the tips above, you can accomplish the task of turning your home into your private sanctuary, a place you are proud to call home. What are you waiting for? Go ahead and start that home improvement project you’ve been thinking about. Before you decide to tackle your next home improvement project, read through these tips and tricks to help you throughout the process. Whether you are going to remodel a bedroom or bathroom, or even if you have decided to give your entire house a much-needed makeover, you are sure to gain insight from this article. To increase the value of your home, make some home improvements. The projects do not have to be time consuming or expensive. Start small with a job like laying new tile or vinyl in the bathroom. Once you are finished, you will think you have a whole new bathroom. Before deciding on renovations for your home, go to several open houses in new subdivisions. You’ll see the latest styles and colors and get a better idea of how your home could look with those options than you would by just going through the hardware store. Many model homes even hire a decorator to include window coverings and furniture to complete the effect, so you can copy the ones you like best and skip a lot of trial and error when updating your own home. Before painting or staining a wooden object, you should use sandpaper to smooth the surface of the wood and then wipe the object off with a damp rag. Sanding the object with fine grit sandpaper will help give the object a smooth finish. Wiping the object down with a damp rag will remove any dust, which will also help to keep the finish smooth. Replacing a kitchen or bathroom floor is especially easy if you use adhesive-backed vinyl tiles. Easier to handle than rolled vinyl flooring and less messy than regular vinyl tiles that require a sticky adhesive compound, this is a quick way to update your floor. It may take you longer to take the old flooring up than to put the new tiles down. Always remember to budget for the surprises. There is still some additional expense when tackling a home improvement project. A good rule of thumb is to add an extra 10 to 15% to your original budget to be prepared for the unexpected expenses that are bound to crop up. If you feel your home is too small, consider a basement renovation. In many cases, a basement can be turned into a second living room or climate-controlled storage space. If your basement has exterior access, you could even renovate it into an apartment for rental income or a mother-in-law suite for family members and other visitors. A carefully selected home improvement project can enhance the appearance of any house and add to its value as well. By remembering the tips and tricks in this article, you will be better prepared to take on an ambitious home improvement project that can create a more inviting place to live for yourself and your family. Whether you are making modest changes in one or two rooms, or you are transforming the entire house into a dream of a lifetime, the renovation process can be pleasant and smooth – if you take the time to plan your project carefully. I believe that homeowners can ensure a successful renovation if they follow these nine critical steps. 1. Do your homework Advance research is the key to getting what you want. Review magazines, books and websites to get an idea of the look you want. Visit friends, family members and colleagues who have renovated recently. Consider your lifestyle and the needs of your family, both in the short and long term. A professional renovator can help assess the feasibility. 2. Find out how much you can afford If you are thinking about using outside funds, discuss your borrowing needs and options with your lending institution. You will likely find there are many financing possibilities to consider, from personal loans and lines of credit to home equity loans and homeowner’s mortgages. 3. Look for a professional renovator For appropriate service and high-quality results, hire a professional renovator. Click on “Find a Member” on the GVHBA website ( http://www.gvhba.org ) for a list of member renovators in the Greater Vancouver area. Ask family, friends and neighbours for recommendations. service, including their own in-house or private designers or architects. 5. 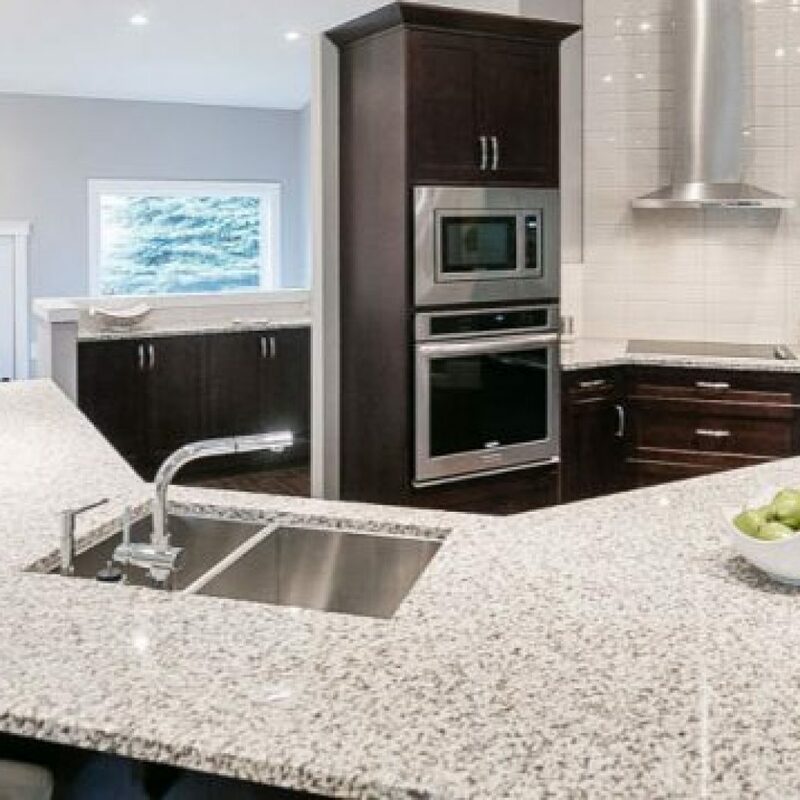 Check references Don’t omit this step just because you are too busy or “they seem like the right person for the job.” Call the GVHBA, the renovator’s previous clients, the bank and the building supply store to ensure that you are making the right choices. 6. Work out a contract Don’t automatically take the lowest bid, unless you are certain the renovator has properly understood what you want. Sometimes low bids turn out to be the most expensive in the end. If you accept the renovator’s offer, it’s time to write up the contract. Even the simplest of jobs should be outlined in writing, because the contract is the basis of understanding between you and your renovator. Before signing a contract, read it carefully. Are you satisfied with the description of the work to be done? Does the payment schedule include holdbacks? Are the responsibilities of the renovator clearly spelled out? If something is not expressed in the contract, then it’s your responsibility. Have a lawyer examine the contract before you sign it. schedule of work to be done and how your daily routine might be affected. Discuss your expectations of the work crew and determine the work environment. Does the crew need access to washroom facilities, telephones, water or electricity? Decide which areas of your home are off limits. It is a good idea to let your neighbours know you are going to be renovating. 8. Establish a good relationship with contractors A good working relationship is a vital ingredient in successful renovation projects. Mutual trust is essential. Keep lines of communication open at all times. Expect a brief report on the progress of your job at regular intervals, perhaps every evening. Be available to make decisions when they are needed so work is not held up, perhaps costing you more money. Don’t hesitate to bring your concerns to the attention of the renovator. 9. Try to stick with your first choices Once work is underway, changes should be kept to a minimum. The details of your project, described in the contract, down to the finishing touches, form the basis of both the price and the schedule of your job. Changes could affect both significantly. Your GVHBA member renovator will attempt to accommodate any alteration in plans, as long as you accept a possible delay in completion and/or a change in price. The author is associated with the website Bathroom Ideas [http://bathroomideas.biz/] – one of the leading website with lots of renovating bathroom ideas tips & tricks and lots of beautiful bathroom renovation pictures. Are you are a homeowner who wishes that your home was a little bit different, more exciting, or more attractive? Although a large number of homeowners are more than happy with their home, there are others who want more. If you are one of those homeowners, it may be time for a change. Despite what you may believe, that change doesn’t have to involve buying a new home, it can mean a simple remodeling project, such as a bathroom remodeling project. When it comes to bathroom remodeling, many homeowners wonder whether or not it is a good idea. If you are wondering that, it is advised that you take the time to familiarize yourself with some of the most common signs that your bathroom could use a remodeling. If any of the signs, which will be mentioned below, sound all too familiar then it may be time that you start thinking about remodeling your bathroom. One of the most obvious signs that you should remodel your bathroom was mentioned above. That sign is unhappiness. Whether you are unhappy with the overall appearance of your home or just the bathroom, a bathroom remodeling project may be able to assist you. If you do decide to remodel your bathroom, you will find that you have some different options. You could easily remodel a small portion of your bathroom, such as your bathroom toilet or sink, but you could also change everything around. In fact, the choices that you will have are just one of the many benefits of remodeling your bathroom; you have the complete freedom to do whatever you want. In addition to just not liking the way that your bathroom looks, there is also a chance that it may be unsafe or in poor condition. Whether you have developed a mold problem or if your bathroom is falling apart, you may not only want to think about remodeling your bathroom, but you may have to. Since the bathroom is often considered one of the most used rooms in a home, there is a good chance that you, as well as anyone else who lives in your home, will use it multiple times a day. Loose bathroom floor tiles, mold, and other bathroom problems can not only look unattractive, but they can also be dangerous. Therefore, if your bathroom can be considered unsafe, you may want to think about having your bathroom remodeled. Another sign that you may want to think about remodeling your bathroom is if you are looking to sell your home. In almost all cases, bathroom remodeling projects help to increase the overall value of a home, especially if the bathroom was previously in poor condition. Although you are not required to remodel your bathroom before you sell it, it may be a good idea. For more information on whether or not a bathroom remodeling project can increase the profits that you will see when selling your home, you may want to speak to a real estate agent. You will find that in some cases it is worth to remodel your bathroom before selling, but others times it isn’t. The above-mentioned bathroom remodeling signs are just a few of the many that exist. In all honesty, it doesn’t matter whether you need to remodel your bathroom or not, all that matters is if you want to. If you want to remodel your bathroom, go right ahead; there are a fairly large number of benefits to doing so. "I have personally worked with this contractor on a number of renovations and basement developments over the past 5 years. Fraser Manning has put together a highly skilled team of tradesman who, under his supervision get the job done on time, on budget and with exceptional attention to detail. Look no further for the pain free solution to all your construction needs." "I have worked with CWC for a couple of years now and they do quality work. A very friendly and progressional crew who do great work on every project. I would highly recommend hiring them for any construction project whether residential or commercial." "Fraser did drywall for my wife and I. His completed work was great and he was able to blend our original 1955 plaster with new drywall in a seamless fashion. His quote was accurate and he completed the job in the amount of time agreed upon from the start. Thanks, Fraser!" he has taken on as well and he has done very beautiful work each time."